I am using Bath and tile ltd for this assignment. A New Zealand owned and operated business, Bath & Tile (NZ) Ltd has been a focal point for the latest range of tiles and sanitary ware for well over 6 years now. 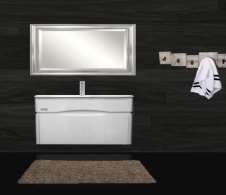 We don’t just present attractive bathrooms, we also allow you to soak up the experience of a real bathroom as it would appear and function inside your home. 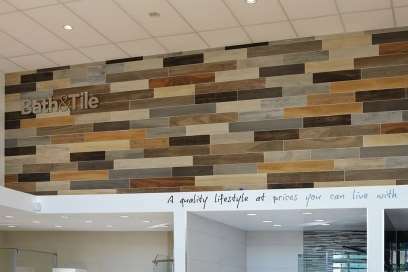 With two stunning showrooms located in Albany and Manukau City, we provide a wide range of Tiles & bathroom Sanitaryware under one roof with the latest range of Porcelain and Ceramic Tiles, Showers, Toilets, Vanities, Taps, Spas, Bathtubs and Bathroom Accessories. To cover all these problems and to give the business a hard push strategies are needed. So we have thought of giving more promotion and gift vouchers to customers and to train our delivery staff. 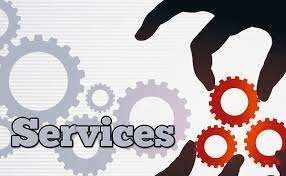 Different solutions, methods and ways are used to achieve this envision of new services. Currently business at Bath and Tile ltd is not according to the expectations customers are there but because of less staff in installation so, we can say that it is slowing down and needs more staff. Apart from this more understanding is needed for the structure of work and the administrative and execution departments as well. Services and their retention needs to be discussed as well. So, I can say that emphasis on the following is needed. The problem here in Bath ans Tile ltd is big company. We have decided to provide more new services we disscussed with company members . It just work with a good direction. So the main problem of the system and customer service can be managed by people working in the company. For this purpose services can be opened and discussions can be held which will lead to some understandings and then towards the problem and its solutions. So, the services is supposed to held after the working hours. It will increase the company growth . In the evening after the hours, employees are required to set at a near place under the supervision of a leader to discuss the problems and sometimes the higher authorities can visit as well so that the employees can get more support. Activities can be held creating a real situation and let employees handle that. Services can be given to employees for work and supervisor can assist them. So, the services will be like another working hours of the work but here no fear of loss of customer will be present and the fear of mistake is aslo not there. So, more knowledge can be gained. This will result in better outcome and employees will be more confident which will improve the system and will also improve the customer service at bath and tile ltd.we will offer a good service to our customers. Authorities can know about the company success or failure and can improve the company if suggestions are written in there by the employyes or the supervisors. The estimated cost for the new services will be the overtime wages of the work which is decided. So, the venue costs are nothing. The supervision may cost some money because professionals will be devoting time to the employees. The activities and tasks which will take place will not cost much because work tools and gadgets will be used there. So, I can say that this services will be less costly but more productive. No expenses for the venue as Manukau shop will be used for new services activities. Meetings with the specialists will cost some money. Minimum 100 dollars a month as higher wages. Everyone has to use own convenience. According to this report, I can say that new services will not cost much until a new machine, new workers or a gadget is required for a specialised training. "Bath Company Strategy Recommendation." UKEssays.com. 11 2018. All Answers Ltd. 04 2019 <https://www.ukessays.com/essays/business/bath-company-strategy-recommendation-9910.php?vref=1>. "Bath Company Strategy Recommendation." All Answers Ltd. ukessays.com, November 2018. Web. 23 April 2019. <https://www.ukessays.com/essays/business/bath-company-strategy-recommendation-9910.php?vref=1>. UKEssays. November 2018. Bath Company Strategy Recommendation. [online]. Available from: https://www.ukessays.com/essays/business/bath-company-strategy-recommendation-9910.php?vref=1 [Accessed 23 April 2019]. UKEssays. Bath Company Strategy Recommendation [Internet]. November 2018. [Accessed 23 April 2019]; Available from: https://www.ukessays.com/essays/business/bath-company-strategy-recommendation-9910.php?vref=1.